Classes begin in the fall in Minerva and Louisville! For classes at the Minerva Studio, please call (330) 868-4463. For classes at the Louisville Studio, please call (330) 958-6030. At the Powell Dance and Singing Center, our goal is to make dance and singing a fun and creative learning experience for each child. We believe every child should be taught with the highest professional standards, which helps children to develop self-discipline and self-confidence. 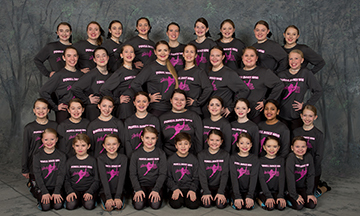 Dance students strive for precise body placement, correct execution of steps and combinations and strength. Singing students strive for correct pitch, tone and vocal expression. 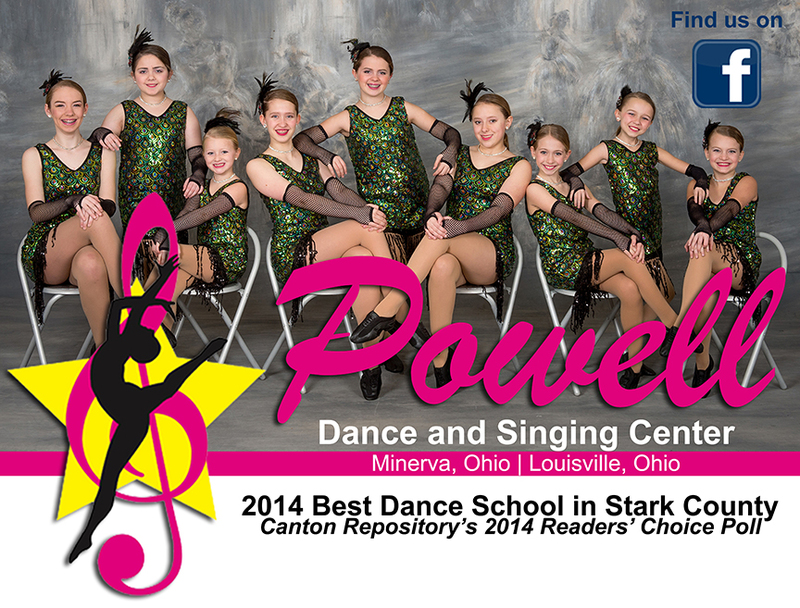 The mission of the Powell Dance and Singing Center is to cultivate individual artistic expression through performance and provide quality instruction in a fun environment that enhances the student's individual goals – whether they be recreational or pre-professional. At Powell, we understand that quality training cannot be rushed. Each child who studies singing and dance, whether for recreation or as a professional, is entitled to instruction that is tailored to the individual student and presented with patience and precision. Call (330) 958-6030 or (330) 868-4463 for more information! We do allow for two snow days per year. Make up classes are available through April.